Today, 15 August, 2018, is India’s day of Independence. 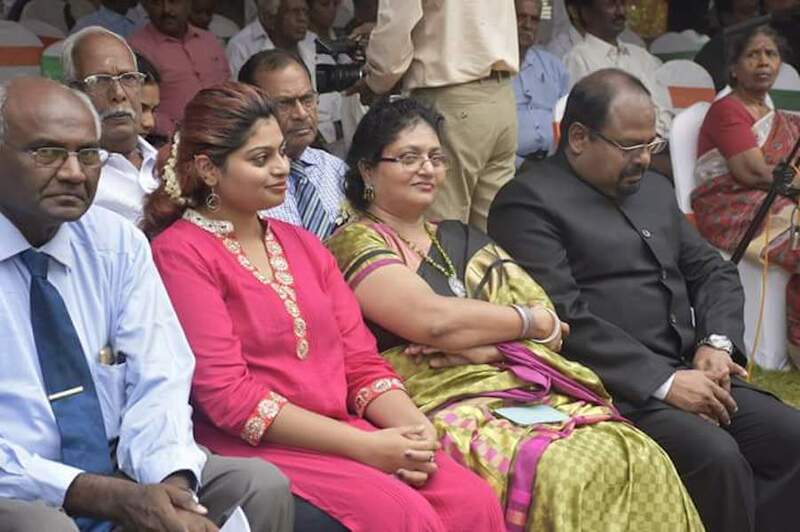 The Consulate General in Jaffna organized a function at India House. The programme was simple and elegant. The Indian flag was raised promptly at 9:00 am – something that we in Jaffna can learn from. A speech by the President read out by the Consul General S. Balachandran, followed by the latter’s own separate speech. Then a dance-drama by Jaffna University’s Ramanathan College, and the vote of thanks. All this was culminated by a scrumptious brunch of thosai, ittaly, masala thosai, kesari and coffee/tea. Catering was by Jaffna’s famous and elegant Green Grass Hotel. Many of us look to India for leadership in advancing a secular, caring polity. President Shri Ram Nath Kovind’s speech did not disappoint us. Even more exciting was Mr Balachandran’s vision for the North. Correspondence may be in Tamil he said. International flights from Palaly with India’s help are in the offing. Equipment for Jaffna University’s engineering faculty has been provided, etc. Culturally too Jaffna folk look to India for many things – medical treatment, universities, musical and cinematic entertainment, and temples and even churches like Annai Velankanni and “the seven and a half churches” built by St. Thomas for pilgrimage. Perhaps most importantly and very current is what Mr. Balachandran mentioned about the help to fisherfolk in the Mullaitivu area – boats, fishing nets etc. One hundred and fifty fishing boats are already being built. Although he did not mentions these, refugee housing, railway tracks, etc. have already been gifted. His speech was met with a lot of applause in gratitude. Help to fishermen is a lively and current topic. The disturbed milieu among Mullaitivu fishermen flows from the relevant central government ministry giving fishing licences to fishermen from the Negombo area to fish in Mullaitivu while the resident fishermen had been displaced by the war. Now they are back. There is a lot of tension. Few Lankans are aware of the fishing rights problems in Mullaitivu. What makes the Indian offer of boats and equipment timely and relevant is that on Monday evening there was a dispute in the Nayaaru area. The Fisheries Minister had prohibited fishing using lights because of the depletion of ocean life. However, when about 50 Sinhalese fishing boats set out with generators and lights, Tamil fishermen had stopped them. That night, Tamil fishermen had their homes set ablaze at a loss estimated at Rs. 50 lakhs by their unions (and 35 lakhs by the Disaster Management folk who used current second hand value rather than replacement value). Nine houses and fishing equipment of the residents had been destroyed. In fear, about 50 fishermen have ceased work. The fishermen live in fear. MP Charles Nirmalanathan who drove all the way across from Mannar has stated that only 2 policemen had been provided as guards when he got there at 5:45 am on Tuesday although many more had been present earlier. No report had been recorded by the police at that time. Only Mr. Mano Ganeshan and MP Charles Nirmalanathan have shown interest so far. The police are hiding behind “fears of stoking communal fires,” whereas when victims are Sinhalese the police act with full force, complains a TNA representative. We need more generous help from India since our government seems not interested. Mr. Balachandran arrived recently and cannot be up to speed on everything, However, he is learning quickly the situation in the North because the Tamil newspapers generally keep us well informed on that score. However, where we are all kept in the dark is the anti-Christian communalism and peninsular nationalism that have been unleashed since the end of the war. I have written widely on the former, especially at Jaffna University, and need not repeat myself here. As for the latter, suffice it to say that even the Hon. R. Sampanthan from the East, is fearful of exercising his leadership saying “I have left Jaffna matters to my Jaffna MPs.” The peninsula is a dangerous place to navigate for those who do not know us. The Consulate gave Jaffna University a carte blanche over the dance drama, without knowing what the university is. I do not blame the Consul but his senior officers should know full well the anti-Christian propaganda carried out in Jaffna recently about not voting for Christians, the fall-out from Indian entertainer Solomon Paapaiah being brought by the consulate for a secular event but was hosted at the Keerimalai Temple, that other religionists would not have been comfortable attending, etc. Yet, for the one entertainment item today, Jaffna university was given carte blanche. Here is how the university’s sung-play went that lasted about an hour. People are suffering under White rulers assisted by a Tamil-Hindu Kangaani. They are beaten as they work. Then two priests, each in a Catholic/Anglican priest’s garb (black suit and dog collar), come with Bibles and tell the people as they happily worship in a Hindu temple, “Give up your culture. Throw it away … It is wise to obey the Europeans and take on their culture.” As a result some convert to Christianity and begin to dance the western ballroom dance. The girls are in knee-length frocks, conveying a deracinated image. The common people watch with worried faces. This is like in a Tamil movie I have seen – but I expect more from the Indian Foreign Service than from “Kollywood”. Thereafter, Gandhi comes along and does a sit-down protest. As the protestors get walloped by Europeans and their agents, Gandhi runs away without receiving even a single shot. Then the Tamil poet Bharathiyaar comes along and sings his nationalist songs. The converts and the two priests revert to Hinduism. Barathiyaar’s effectiveness juxtaposed by Gandhi’ running away, seems one more element of peninsular nationalism. The Chief Secretary of the Northern Provincial Council, seated on my right and a Christian, it seemed to me, was squirming in his seat. Hindu friends behind me gave me embarrassed smiles knowing what I would say. Much of the imagery in the dance-drama is historically questionable, and is at least exaggerated if not untrue. Whether true or not, however, there is no need to insult Christians and our priests and faith. Are cultural sensitivity and accurate history being imparted at University of Jaffna? Recently there was controversy when Kampan Kalaham Jeyaraj, a man of solid reputation on matters of Tamil culture, in a newspaper interview stated that Jaffna University’s fine arts people have retarded Tamil fine arts. Although the music and rhythms were far improved over things I have seen as a boy, I now understand what he meant. The University of Jaffna has failed as a multicultural, modern institution open to and catering to all communities, and has demonstrated that through this musical extravaganza. I do not blame Mr. Balachandran in any way for this fiasco. I believe he understands exactly what I am saying. For, this June, when the Election Commission had a parade carrying the Nandhi flag at the Jaffna Kachheri, he was shocked. He remarked to me, “What is this? It looks like a Hindu procession!” Obviously, he did not get the support he needed from his staff. At the time when he made this remark, I was so elated think what a different country ours would be if every SLAS officer could think like him.. Does the Indian consulate and the Indian Foreign Service in general have any business undermining India’s secular ethos? They should have at least previewed the play. If they did and still passed it, they would deserve a bigger indictment. There is nothing to conceal in my lion. Though I am tamil, I will display the lion proudly. The problem is people like Hoole. My lion is not a terrorist. Their Tiger is a Terrorist. No you are not a terrorist but an opportunistic backstabber like most of your community , as it now suits your agenda to align with the Sinhalese and deny your Tamil heritage. You are now reluctantly calling your self a Tamil, as you were cornered and had no way out. You immigrant Chetty from Tamil Nadu. Fighting for ones just rights in their own land is not terrorism . May be for opportunistic immigrant back stabbers like you, as you thing , the fight for just Tamil rights by the indigenous Tamils from the north and east , will disturb your life style and may affect you , so have opportunistically decided to display the racist Lion flag , that holds a sword and growls at the island’s Tamils and Tamil Muslims, showing who is the ruler and stay in line. That flag reeks of racism and Sinhalese Buddhist Fascism. Yes your lion is not a terrorist but a Nazi racist Fascist that is displayed by genocidal war criminals and immigrant South Indian opportunists like you. i thought in the 2001 census the sri lankan chetties were identified as a separate ethnic group and not tamils anymore.So i was surprised that you are saying you are a tamil.I know colombo chetties and they are so different from tamils in many ways. This was done deliberately done by the JR Jayawardene, at their request. Previously they ( the Colombo Chetties) and the western coast Baratha( Paravan) were identified as Ceylon or Sri Lankan Tamils. However after the 1983 riots in fear they ran to the JR government and requested to be identified as separately from the Tamils and anti Tamil racist JR happily complied , as he wanted to further weaken and reduce the island’s Tamil population. He and his government were actively encouraging and deliberately facilitating the migration of the Tamils to the west and to India. It was during his era that the bulk of the Tamil migration to the west took place. His other move was to deliberately create divisions and schisms amongst the Tamils on the basis of religion, origin, caste and region and create new identities based on this and further weaken the Tamils. The Tamil populations most affected did not fall into this trap. The indigenous Tamils from the North and East and the Indian origin estate Tamils,. However the least affected Colombo Chetties and the Tamil Bharatha ( Paravan) population living along the west coast, opportunistically jumped at this offer. Although these people were previously classified as Ceylon Tamils , they really were not , unlike the indigenous Tamil population from the north and east who were in the island from prehistoric times, the ancestors of these people migrated from South India during the medieval period and in the cast of the west coast Bharatha even much later. This is the reason they are different in many ways from the Tamils from the NE, whose culture and way of life is more closer to the people of Kerala than to Tamil Nadu. Remember these two communities are 100% Christian and have been Christian from the Portuguese era. More than 85% of the indigenous Tamils are Saivite and even the Christian ones are quite Hindu in their culture and most of them closely related to Hindu families. contd: This move to decouple themselves from their Tamil identity into a separate identity on the basis of their caste , is actually a prelude for them to take on a Sinhalese identity in the near future, just like what happened to the Karawa, Salagamma, Durawa and many other so called Sinhalese castes. This is what they want and all Sinhalese governments want. The rantings of this woman proves this. Now their children do not study Tamil. You can see to what third rate underhand methods that all Sinhalese governments use to weaken the island’s Tamils. From the time of independence they have deliberately used religion , caste, origin and region to weaken the Tamils and create artificial divisions but done the opposite to the Sinhalese. At the time of indepedence, the difference between the Kandyan and Low country Sinhalese and between Sinhalese belonging to various castes was far greater compared to the differences between Tamils from various regions, origins or caste. Even the difference between the Muslim Tamil and other Tamils was not very little and not an issue. In fact at one time the Kandyan Sinhalese were demanding their own federal unit. However successful Sinhalese governments from independence, whilst uniting the Sinhalese as one people irrespective of caste, origin or region have deliberately used their power and opportunistic crooked Tamil/Tamil Muslim politicians and leaders, to widen the gap and create further divisions amongst the Tamils, so that they become weak and vulnerable and will not be able to resist the government’s forced Sinhalisation of the island’s Tamils. You can see how they threw little scraps of food from the Sinhalese table to the Muslim Tamils and their crooked politicians and also used religion, especially in the east to make them side with the Sinhalese , during the LTTE war and even got them to commit atrocities on their fellow Hindu/Christian Tamils. the chetties were classified by the british from 1814 to 1871 as a separate ethnic group FYI.Subsequently they started to marry into sinhalese and tamil communities and as a result a good portion of them became tamils or sinhalse.So because of their few numbers they lost their status as a separate ethnic group.You can’t blame the remaining few who have not assimilated in sinhala or tamil families to ask for their status back after the 1983 riots .Why should they get clobbered as tamils when they were never tamils in 1814 when they are a friendly bunch who never give trouble to anybody and just live a happy go lucky life. Your history of the chetties is only partly right.You should go back to where they were before the mughal invasions that drove them to south india.There are chetty families who have married into my jaffna family too,so i know them well. I agree with you about what the Chetties are. Some have got Sinhalised, others have got Tamilsed. Partly true now of all Burghers – not only of the Portuguese. Shankar, Chetti or Chettiar are a caste amongst the Tamils and were never a separate ethnic group. These people are Tamil Chettiar migrants from Tamil Nadu , who migrated to the island during the medieval period, and created powerful trade guilds in then Tamil Colombo. During the Portuguese period they converted to Christianityy and got very westernised. The British never classified them as different ethnic group but correctly classified them as Ceylon Tamils. Only anti Tamil J R Jayawardene did this , at the request of powerful Colombo Chetti families , after the 1983 riots. He did this to create further divisions amongst the Tamils. Why should they got clobbered as Tamil? Because they are Tamils just like you and me and this the truth and this is not clobbered . May be to you. If they do not like as it is now politically not convenient stiff. Will they change their parents too if they do not like them and claim another person as their parent? A caste or religion cannot become an ethnicity. Only in Sri Lanka due to dirty politics and to deliberately divide and weaken the Tamil people , caste religion region and origin is being used to classify ethnicity and split the Tamil people into little weak groups fighting amongst each other, so that they can be easily assimilated into the Sinhalese identity. Therefore Tamil castes like the Colombo Chetties or the west coast Bharatha have now become separate ethnic group . Tamils who practice Islam a separate ethnic group. This is like some Sinhalese stating I am not Sinhalese but Govigamma or Karawa and demanding a separate ethnic identity for your caste. How ridiculous is this. Will the government acquiesce to these ridiculous demands, if various Sinhalese castes make these sorts of ridiculous demands ? The answer is no, as they want the Sinhalese to be a powerful united group irrespective of caste, region or religion., so they abolished the division between Kandyan and low country . contd: This new Colombo Chetti or Bharatha identity will not be the last, new ones will further crop up from the Tamils and all Sinhalese led governments are looking for this. Fortunately the indigenous Tamils from the NE and the Indian origin estate Tamils who now make up 99.99% of the island’s Tamils , have withstood this forced Sinhalisation moves so far and remained staunchly Tamil. What an individual does and wants to do is not my business, if a Colombo Chetti or any other Tamil wants to assimilate as Sinhalese or a Sinhalese wants to assimilate as someone else , it is their business. These are two different things, an individuals right , however a state does not have the right deliberately create new artificial identities based on caste, religion and region, that were never there in the first place, to facilitate their genocidal Sinhalese Buddhist Fascist agenda. You are mixing up both. BTW real siva,have you ever had anything nice to say on any community in your historical narratives?What about the veddhas?Do you like them? You say that you are Jaffna Tamil and use a Tamil identity but all your posts are full of hatred for Tamils , very pro Sinhalese . You do not fool us. What about the Veddas do you like them? Stating the truth is not nasty, as most of you Sinhalese and their hanger-on’s want to believe the Mhavamsa myth and the Aryan origin lies. i did not say iam jaffna tamil.I said chetties have married into my jaffna family.On my paternal side i am indian family and on my maternal side i am jaffna family.You say i am not a tamil.Haha ha,if only you knew my ancestry your ancestors in jaffna who you say are brahmins would not have been in jaffna if not for the approval from mine.In tamilnadu the brahmin rule was crushed by my ancestors.So we are old enemies. now look you donk brahmin,without trying to brainwash readers with generalised statements like these show specific instances where i have done what you say i have.Let the readers make their own judgements after that. You brahmins as usual are very devious.You never wanted the general population to come up and be educated because you knew it will topple your grip on our society.However we broke that hold and kicked you out and brought up all the people.Read about kamaraj and how he abolished your brahmin rajaji’s hereditary education policy. I am giving you some clues here. this is from wiki.So what about one of your historical analysis on this for us. You should know by now that the Sinhalese are very assimilative people. Being Buddhists, they have little caste as compared to the Tamils who are Hindus. Any caste they have, they learned from the Tamils. The Chettis, unlike the Tamils, were assimilative, and learned Sinhalese very fast. During the time of change from English to Sinhalese for official purposes, they fitted into the institutions very easily and graciously. Some may have been thought of as Tamil during the riots, and so they ran to Jayawardena for protection. Even Hoole differentiates between Sinhala fisherman and Tamil ones. If Tamils fisherman were so coerced to become Sinhalese, again I ask, “Why did the Tamil estate-workers not convert to Sinhala status?” It would have surely saved many of their lives during the riots and added to the Sinhala numbers. No trying to make the excuse that estate Tamils were a united bunch. Even those millions of “low-caste” (Tamil terminology) workers that you say came down from Tamil Nadu, were a united bunch. Tamils will generally never convert to other races. They worship their race as God. If Sinhalese assimilate with Tamils, they will automatically be forced to become Tamil. Only place where Tamils converted to Sinhalese were the Kandyans, but that was done as per royal decree so they and their different grades of castes could rule over the Sinhalese. And they were only a few in number. Many in fact, retain their Tamil status, and even speak Tamil. And they rampantly keep their caste system, although the surrounding Sinhalese have forced them to tune it down and keep it symbolic. That’s why the Kandyans wanted a federal unit at the time of independence – to solidify its Tamilness. But the local upcountry country people were not going to let a few Royal bullies take over their ancient heritage. I am glad to speak for the coastal Sinhalese, although I am not one of them. You can come out with the usual hackneyed racial rhetoric towards me, but that cannot change the reality of the Motherland. Thanks for your exemplary bravery in face of abject racial and caste humiliation spewed out time and time again by a few distorted Tamils. For those of us who were born in the North-East, the lion represented clear and present state terror. By being proud of the lion, without, say being concerned with war crimes or justice, you become a supporter of state terrorism, and condign punishment is called for. she is a citizen of sri lanka and is proud of her flag.I too am proud of my flag and will happily have it outside my house if i have to.The only time i get enraged is when the sinhalese say we are lesser citizens than them and have to live here as guests. By now I don’t think that anybody questions my being a Sinhalese. Not many guys who think like me may take the trouble to write as much or as unambiguously as I do. I very definitely do not think of you as being a “lesser citizen” than I am. It is very important that you don’t imagine that I’m fishing for compliments. There are many who think the way I do, including those who speak only Sinhala. I’d like your observations on that, please. No, you haven’t tarred us all with the same brush; but I must say that with all these pseudonyms being used, it’s difficult to remember who said what. I trust you know my identity. It would become a bit of a joke if I gave my name every time I made a comment. it is just that i remembered fonseka saying that minorities can live here as long as they are well behaved guests or something to that effect.I assumed that the bugger was speaking for many sinhalese who are not from colombo,same as he is too. yes,burt,he also forgot that he was a guest whom the british brought here, and the govigama’s far out number the karawe.Wijeweera also forgot he was a guest and got cremated alive.Don’t know exactly what happened to that other ‘guest’ prabha whose father came from kerala.BEHAVE PROPERLY YOU GUESTS OTHERWISE grrrr grrrr grrr lion starts to growl. shankar, How lucky you are. Unlike Duminda, Ravi or Mahinda you remember! Jaffna university has been using Nandi flag since the time it was started. What is the meaning of Nandhi flag? As a professor, Hoole didn’t know this too? Jaffna university is basically a Hindu university. That is that identity of the university but they can respect other students’ cultures also. University for students no for professors. The Tamilnadu state logo has the tower of a temple in it. Does it make Tamilnadu a ‘Hindu’ state. I think that the idea of the bull in the logo was not good. The Jaffna District has better things to identified with. It was designed in 1978 under the UNP regime that came to power in 1978, a time when the FP (TULF) and UNP were still having lovers’ quarrels. Even the first VC was a TULF favourite. The Royal Flag of the Arya Cakravartti, Kings of Jaffna, dates back to the 13th century. The Royal Flag was readopted in 2005. Tradition clams that the victorious Bull (Nandi) flag was granted by Sri Rama. In the centre of the Royal Flag is the victorious Bull (Nandi) couchant facing left and with its right foreleg raised. It has a hump and a large dewlap and black horns which are uncut. The Nandi with a Magenta outline is adorned with a golden chain around its neck with a golden bell attached to it. The Bull surmounted by a Crescent enclosing the Sun on a Saffron background. The victorious Bull (Nandi) flag is a symbol of pride of the Kingdom of Jaffna. Today, as we fly the Royal Flag we can fly it with an understanding and appreciation of the rich cultural heritage of the Kingdom. Perhaps the NPC didn’t want to upset the “Tradition”. We Chettis always consider ourselves as Tamil. We speak Tamil at home. Myself, am a high caste Vellala woman, connected to the famous Candappas of Barnes Place, Colombo 7 (Grant Advertising). Fernandopulles of Negambo including late Jeyaraj is connected to us. But, we want to live in unison with Sinhalese. We do not want a separate state and we hate the Tigers. I do not like Hoole politics, who always whinges and connects his ideology to separatism. Thanks Ramona for support and solidarity. Being a high caste Vellala woman were you blessed with twice the number of body parts unlike the normal people for example two heads, two bodies, four hands, four bums, four b***s, two ………….. ? How can she be a Chettiar and a Vellalar. She either has to be one or another. That is what I thought but I found a subcaste called Chetty Vellalar on line. My guess is that wealthy Tamil speakers from India decided that they are Vellalah despite their religion or maybe this happened before they converted. You have a subaste called Chetty Vellalar around the Araly region in Jaffna . These people were originally Chetties but gradually got assimilated into the Velllar identity, through intermarriage, just like the North Indian origin Madapali(Magada Palli) before them and you had Madapalli Vellalar. However Chetties and Vellalars are two entirely different caste. Vellalars are landowning farmers, landlords , squires. Their traditional occupation is agriculture also serving as landlords. They were major patrons of literature in medieval era. They were a dominant secular aristocratic caste who contributed as courtiers, army officers, lower ranks of the bureaucracy and upper layer of the peasantry. The Chetties, Chettiar or Chetti is a title used by various mercantile, agricultural and land owning castes in South India, especially in the states of Tamil Nadu and Kerala. Both are high and forward castes . The Vellalars , especially the upper Vellalar castes like the Gounders, Pillais , Mudaliyars can be equated to the Kshatriya n the Varna system, the second tier. The Saiva Pillais amongst the Vellalars are almost Brahmin in their behaviour. The late chief minister of Tamil Nadu Karunanidhi called them as ” Poonool Podatha Piramanar” meaning Brahmins not wearing the sacred thread. The Chettiars largely to the third tier the Vaishya or trader. However in the Chetti Nadu region of Tamil Nadu the Chettiar are dominant and in the other regions and even in Sri Lanka Vellalar castes like the Gounders, Mudaliars and Pillai become dominant. Sorry to say that a large section of Vellalas do not fit into the above description. she is just trying to distinguish herself from guys who are running around with a bow and arrow and eating honey straight from the bee hive.What she is trying to say is a more advanced civilisation had come to this island and we have roads,ports etc. ps.only joking.don’t take seriously man.No harm intended. correction.it should be two bums,not four.If you eat a sandwich with some brown colour marmite in between oozing out,do you refer to it as one sandwich or 2? Interesting point. But really, taken as a whole, this discussion saddens me. We owe Jeevan Hoole a lot for his brave performances during the past few years, when he’s been fighting against the actions of the State in suppressing our rights as citizens. I wish he would stay away from some of these other subjects. I also wish we had made better use of him as an engineer. Usha, You speak Tamil at home. You consider yourself a Tamil. How sweet that is! – When you Chettis meet each other in public, which is your language of communication? – Have you ever communicated in Tamil in the presence of Sinhalese? You may want to know why I asked these questions. I promise to respond when I receive your reply. Couldn’t resist pointing out your dream-come-true in Usha Candappa! So explicitly, voluntarily, and to the extreme, “taking responsibility” , as per your very proud yard-stick. Who else in this blog declares the identity so well and so full?! Full name, Usha Candappa; Address, Barnes Place, Colombo 7; Heritage, high-caste Vellala (is there some redundancy, I am never sure), Grant Advertising (possibly establishes top-tier wealth?) and what’s more, concurrently raises the heritage of independently famous Fernandopulles! Well, almost a dream come true, but for one hitch – her share of love for Hoole, I suspect, may not be to your liking! I terms of identifying oneself she’s definitely done much better that you; in fact very much better than me. Almost as well as Jeevan, you might say. What I can’t excuse in you is the fact that you never see the good in Jeevan. That said, despite there being a few useful observations in his writing, I wish he hadn’t written this article at all. What a lot of nasty talk it has engendered! Absolutely! You couldn’t have asked for more, except perhaps the email, the date of birth, plus national identity number! May the mobile number too!! Just curious: what exactly were the “few useful observations in his writing?” that you saw? Two quick comments, perhaps questions. 1. Are there any current authors in this blog whose articles you think generate more discussions pointedly at the deep-divide on racial and religious difference (at least at times acrimonious) than Jeevan’s articles do? 2. Will it be wrong to say that since Jeevan’s return to take up residency in the peninsula, and his write ups here, there has been increased and steadily increasing Hindu-Christian dichotomy in discussion that wasn’t there before? . Perhaps a coincidence, or does your own “nasty talks it has generated” rightfully answer that question! 1. Wasn’t it a good thing that he gave some publicity to the arson at Nayaaru? That sort of thing is not good news at all for anybody, but when such thngs do happen they have to be talked about. 2. I’m sorry to see the Hindu-Christian dichotomy. I’m not getting involved in that. 1. I frankly don’t recall the Nayaaru article. In any case, if you feel he has earned the right to be celebrated as a hero just on that count, and has to be overlooked on all these nonsensical, if not dangerous religious, racial bigotry and divisive, logic challenged, overgrown school-boyish write ups, I have no further comment on that – I will go with your celebrations. 3. 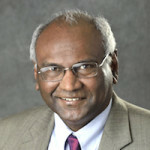 As for the observable impact of Jeevan’s articles have in raising the Christian-non-Christian divisiveness, I am sorry I should not have asked you that realizing what an uncomfortable place that will put you in, unable to forthrightly express your view – perhaps if you could be as bunt as you credit Jeevan for, then I could press you further. Your unwavering faith and trust is truly commendable! Your mothering instincts, going as far as excusing as grown-up school boy and even suggesting to behave like his “better” sibling is possibly well meant, and hope Jeevan the DSc does not take offence! There is no Nayaaru article; there is, in this very article, a reference to the torching of some boats and houses (I’ve not checked the details, since I know little of all this at first hand). I think that the place name is spelt “Nayaaru” in one place, and “Naayaaru” in another. Taking the over-all context in which I am wrtiting it seems trivial. I’m not, obviously saying that all the unnecessary human suffering on our island is trivial. From writings such as Hoole’s, I somehow had the impression that the curse of this high-cast vellala versus the other lesser mortal was a strictly Jaffna Hindu curse. How wrong I was?! Thank you for educating me and other similar ignorant ones. I don’t suspect you are a Hindu, let alone one with even the remotest fiber of connection to the god forsaken Jaffna. Could you enlighten me whether the Chettis are all high caste vellala or are their any other castes among the Chettis, either higher (I doubt there being anything higher than yours, but thought I’d ask) or lower.? Are they all Christians or are they all Arumuga Navalar influenced cast-maniacal Hindus as Jeevan would regularly whinge?! 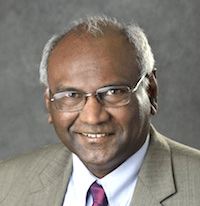 Having read many of Jeevan’s articles and perhaps some similar ones, I had somehow formed the impression that this system of castes was the curse of the Hindus, particularly Jaffna Hindu’s, unshakably entrenched in that Hindu society by the societal misfortune, namely, Arumuga Navalar. You truly took me by surprise declaring that (Colombo?) chettis too subscribe to this horrid caste concepts. Shows how ill-informed I am, as most of Jeevan’s staunch supporters regularly remind me! Anyhow, in search of enlightenment, however minimal, may I ask what other castes do chettis recognize among them? I bet almost all of them are unambiguously below the “high” caste of yours that you want to make sure we all realize. Kindly educate me and other similarly less informed ones about the caste concepts as practiced by chettis – and, are they all not Christians? Well said Usha. Ignore the foul mouthed Veddah and other Tamil racists. They think that racism is limited to the Sinhalese alone. Its time you visited your local optician. What is foul and racial about my comment? What did you think about her claim being ” a high caste Vellala woman”. You do not think it was offensive? iam surprised that you speak tamil at home.The chetties i know cannot speak a word of it except maybe pundaiyandi when they get angry or after liquor. You say you speak it only at home.Why?Are you ashamed to speak outside unlike the muslims who coudn’t care less and speak it everywhere?It is a lovely language isn’t it?Just rolls out of your tongue effortlessly and you can talk and talk unlike aryan languages that are guttural by sound.German is the worst to hear or speak. From my experience, most Colombo Chetties were very fluent in Tamil and also used to identify themselves as Tamils. They may not have studied in Tamil but were very fluent in spoken Tamil. Thing may have changed now as they now want to distance themselves from their Tamil origin and take on a Sinhalese identity. Usha, you have every right to do what you want. Similarly, just because you speak Tamil at home does not make you to decide what other Tamils must do. From what you are calling yourself, you are a descendant of people from Nagapattinam in Cheeti Nadu who after conversion to Catholicism, migrated to Sri Lanka during Portuguese rule. Though you call yourself Tamil now, you cannot deny that after 1983 riots, Colombo Chettys wanted government not to class them as Tamils, though for generations, Colombo Chettys have represented only Tamil Union at cricket. This is in contrast to Barathas, who also migrated to Sri Lanka from Tutukudi in Ramanathapuram, but after the 1983 riots steadfastly retained their Tamil ethnicity. In contrast to your people, Tamils in Sri Lanka had been there for several thousand years, even before the advent of a new ethnicity called Sinhalese, which is proved by geological, archaeological and genetic evidence. These Tamils are demanding only that their lost sovereignty forcibly taken from them by Portuguese and not returned to them by British when they left, be restored to them. So there is no such thing as separatism which you are trying to portray, with a view to please racist Sinhalese, who themselves are descendants of Tamils from South India. good point.This is what i have been also telling the tamils to do by focusing on the jaffna kingdom without adding the eastern province and muddying the waters.Easterners like sampanthan will go for all or nothing and get nothing just like prabha went for eelam or nothing and got nothing.The point you mentioned is something that the international community has to give,even if india opposes. However i would like that strength in our argument to have what we had earlier to be used as a bargaining tool to get maximum devolution for the unmerged north and east.Due to the way the demography of the tamils has shifted after independence i feel that this is the best future for all tamils and sinhalese too. Do not be worried about the sinhalese saying okay we will give you the north but all tamils must go there.they will never allow that it will only be a bluff.They know that they just cannot afford to lose the control of the palk strait seas and they will give the maximum devolution(quasi federalism) to avoid north breaking off. Tamils in this island are a recent diaspora of Tamilnadu. That is why you speak Tamil and all your history is in Tamilnadu. All your stupid theories do not make sense at all, and they contradict with all known anthropological, linguistic, genetic and historical data from the region. Sinhalese are a very ancient people who evolved here from primitive tribes, while the Tamils evolved in Tamilakam and came here only a few centuries back. If there were Tamils here before Sinhalese, then the Tamils would have shown some genetic affinity to the Veddas and also there will be some linguistic convergence, and you most certainly would not be speaking the same language as in Tamilnadu. Tamils show no sign of an indigenous presence here. And Seriously, do we need any linguistic and genetic studies to find out who the Tamils in SL are? On the other hand the Sinhalese are endemic to this island and we don’t need any studies to confirm that. The Tamil-made race and origin theories for the Sinhalese and Sinhala language are just rubbish without any basis in genetics or linguistic or anthropological sciences. FYI Sinhala language has been studied extensively by linguists, but they cannot find any trace of a Dravidian substrate, so your dumb rubbish theory about Sinhalese being Tamils don’t hold water. What they find is a non-Dravidian substrate of unknown origin. Although Sinhala has some Tamil/Dravidian loanwords the phonology and phonetics of the Sinhala language is completely different from that of the Tamil/Dravidian. Sinhala basically does not have any of the Dravidian sounds. Words can be borrowed easily from languages but to affect the phonology of a language there must be substantial influence, therefore even a constant contact with Dravidian speakers is highly dubious. Your resentment of Tigers, not unlike that of a vast amount of Sinhalese, is understandable, since you all were to a large extent insulated from the pressures, discrimination, violence, belittlement and other human right abuses either condoned or instituted by the Govt itself that the Tamils had to endure, both in Colombo, and worse in the North in the pre-LTTE period of 1956 to 1983. Tigers was an unfortunate, transitioning product of two evils, not just one! It is not how you as a Colombo chetty Tamil feel today that is relevant, but how Colombo chetty Tamils felt about being Tamils in that 1956-1983 period. Did they genuinely feel and work as a part of the Tamils and share in the Tamil’s struggle against active discrimination, or worse, racism by the State itself? That would be a useful point of reference to reflect on. Joining the Sinhalese to condemn Tigers now takes little, if any, courage. Even the meekest can do! On the contrary, joining the Tamils to stem the stupidity of State’s discrimination and abuse that would have prevented the seeding of the Tigers would certainly have demanded much courage, compassion, foresight and conviction. The question then is whether the Tamil Colombo chetty’s met their responsibility as Tamils in that regard? As for your opinion on Hoole – I couldn’t commend you more on your astute observation, perfectly summarized in “whinges”! Pardon my hurried wording”Chetty’s” rather than the correct “Chettis.” My apologies! In hindsight I now relise it ws wrong for me to sy in public I’m high clss Tmil. Sorry. in hindsight it was wrong of you to post all the anti Tamil garbage you posted. Shame on you and if you are the typical representative of the Colombo Chetties shame on all of them too. what is the anti tamil garbage she has posted?Can you enlighten us please. What she posted is not anti Tamil to you , as you yourself are an anti Tamil and agree with what she posts. I cannot enlighten someone who does not want to be enlightened. She has no right to call people who fight for justice for the island’s Tamil from Sinhalese state terrorism as terrorists and tigers, just because it does not suit her agenda and threatens her comfortable life style in Colombo. She is just being very selfish and opportunistic, her personal opinions are her own business but she has no right to condemn and derogate others who are fighting for the island’s Tamils. Just because professor Hoole highlighted and brought to everyone’s notice the plight of the native Tamil fishermen in Mullaitivu , at the hands of migrant Sinhalese fishermen from Negombo , who are only there thanks to the Sinhalese armed forces and police, who are protecting them. Now he is a terrorist and a tiger and you agree with her. You sound like someone here, who posts with a two letter identity , who states he is a Jaffna Tamil but constant apologist for Sinhalese racism and keeps on running down the Tamils, despite calling himself a Tamil. er,can you show where i did that?I’am looking at usha’s posts again,yep i acn see where you come from.She says her lion is not a terrorist,but their tiger is a terrorist.I did not see that and i do not agree with her.From the 1958 riots onwards the government has been committing state terrorism on the tamils.You can read my previous comments on this where i have furiously fought with sinhalese. I agree with her that the tiger was a terrorist because lot of innocent sinhalese were deliberately killed,but if that is the definition of a terrorist then the lion is no better or even worse i think. other than the fact that usha mentioned the lion is not a terrorist,i cannot see how you can accuse her of” it was wrong of you to post all the anti Tamil garbage you posted “. That is why i was surprised by your venom towards her. The whole world knows that the tigers were terrorists,but they don’t classify tamils as terrorists,because all tamils are not tigers.Same way the world knows that the successive sri lankan governments and armed forces have committed vast atrocities on the tamils,but they don’t classify sinhalese as terrorists,but do hold the sinhalese who committed the acts of terrorism accountable to the law. c’mon man i expected you to be more rational and less emotional and look at facts dispassionately and in a professional manner. However an unreserved apology would have been most appropriate. We Chettis have always stood in the middle. Though Tamil speaking we are not Tamil per se. Lot of us originated from Maharashtra and Gujarat. Our caste system is different to Hindus, we are Catholics. For us both Sinhalese and Tamils are brothers. I have not insulted Tamils but angry about Hoole type people who are always ‘nails’. So, what you are saying is that the Chetty caste system, distinguishing high-caste Vellalas versus others, is from Maharashtra and/or Gujrat, and are practiced by Catholics – right? Jeevan had us all believing it was all the fault of Arumuga Navalar that the Jaffna Hindus form a uniquely caste-defined despicable society, unheard of elsewhere! Would I be wrong to suggest that there is little chance of Arumuga Navalar ever influencing the Catholics in Maharashtra and Gujarat?! Hmm, Jeevan the DSc wasn’t aware, it seems. I am not entirely sure what a “nail” is as in reference to a person – perhaps a “flat” headed piece of (s)crap? You may then be right! But I certainly agree with you on the “whinges” statement, unreservedly! One other observation. Don’t rush to conclusion on “unison” living. Just as much as you do, we the non-Chetty Tamils too would love to live in unison with the Sinhalese – not just the Sinhalese, but with the Muslims, Burghers, and Chettis too. The issue was, we wanted to live in “unison” but decidedly not in an “abusive unison” stomaching forever Banda type populistic bullying, progressively increasingly violent as observed from 1956 through 1983, intended to generate political capital by the rogue leadership, and cheered on by extremist racists. Unfortunately, it is the dominant minority that faces much of such abuse in that context, which often escapes other minorities who could choose to be in the safer middle (you don’t mean “fence,” do you? ), until of course “when they come for you” in the prophetic words of Martin Niemöller! Chetti is not a single caste group. Chetti castes have been predominantly traders, money lenders etc. There are groups that went into vegetable oil manufacture too. A section (along with some Pillai caste group of southern Tamilnadu) comprised seafaring entrepreneurs. The trader case is commonly referred to as Baniya in north India (the namr perhaps relates to vanihar in Tamil). I am not sure whether Colombo Chettis have common association with Paravar. The community has maintained its separate identity, and no one cane impose integration on them. You are a fine example of how identity is created and ever changing. You have earlier claimed to be Tamil and Vellalah. Now you are no longer Tamil per se and admit that many of your ancestors did not come from Tamil Nadu or even Southern India. You are Catholics and have different caste system. Feel free to choose your identity but others may have doubts. There was/is a subcaste “Chetty Vellalar” and many other people also claim to be Vellalah creating subcastes. Many of the more conservative Jaffna Vellalah Hindu land owners and their descendants will definitely not accept Catholic Colombo Traders as Vellallah. This only has importance for marriages. “Though Tamil speaking we are not Tamils per se”. Then why Colombo Chettys played cricket only for Tamil Union eg Felix and Neville Casiechetty, Felix and Brian Perumal, Fernadopulle, Rodrigopulle etc. If you had originated from Maharashtra or Gujarat why are you not speaking Marathi or Gujarati like those who emigrated during British rule. Yes now even the Sinhalese Karawa, Salagama and Durawa all claim some sort of imagined North Indian, Brahmin or Kshatriya descent to hide their actual lowly descent from Tamil Nadu/Kerala. Now the Colombo Chetties who actually migrated from Chetti Nadu in Tamil Nadu are claiming imagined descent from Maharashtra and Gujarat and may be even further north, to distance themselves from their actual Tamil origin and claim an Aryan north Indian origin as a prelude to their Sinhalisation After all they have to confirm to the Mahavamsa Aryan Sinhala myth of being true Sinhalese. Hence this North Indian origin fairy tale. If you are from Maharashtra and Gujarat , why are you speaking a form of Indian Tamil. instead of Marathi or Gujarathi. Other north Indian immigrant communities like the Borah Sindhi or Memons much smaller in number that the Colombo Chetties , do not speak Tamil but Gujarathi or Sindhi. Whom are trying to fool with your lies and fairy tales? Please do not insult our intelligence. Many people have issues with Dr. Hoole’s pronouncements about Jaffna society, religion, university politics, etc. But when he speaks about the plight of the Tamil people of the North-East or their rights, justice for war crimes, etc., no decent, educated Tamil would disagree with him. He and his family had been targets of the LTTE, so your saying that you see a Tiger tail under Hoole’s sarong is nonsense; it is indeed an insult to Tamil people in general. Another masquerade paid and placed. Colombo Chetties stopped speaking Tamil last century. They were speaking either English or Sinhala. They are Tamils. Canthan or Kanthan is Tamil God. The last name tells they are Better Tamils than Ceylon Tamil probably. Kanthappa is another spelling I saw when I was in Colombo. The common Colombo Chetties’ name Candappa is in parallel with common Jaffna name Kandiah (Canthia). Chetti is Tamil word. Muruga’s another name is Chettiyar. A 1000 old Silaadai stanza starting as “Vengaayam Chukkaanaal…………… Oragathu Chettiyaree. It was composed on Lord Muruga pretending the poet as Lord Muruga’s trade customer-client. Chetty Nadu(Nattukottai Chettiars ) is a town in TN. Guratti & Sindhu who were in Colombo mainly have been going with their last Names. Most of them had left before I left. Vasvani and D.K Modi Family were still famous that time. Usha Candappa, I can see where you are coming fromyou are a noble lady. As a Tamil even I am hurt that Hoole attacked on Balachandran, our guest. We Tamils always dig our own graves. We all will have to pay for these sins dearly. Has Jeevan Hoole attacked “our guest, Balachandran”? I wish Hoole had written only one half of his article. The half in which he spoke of a “scrumptious brunch”, and twice said that he wasn’t blaming Mr Balachandran, and once said that the Indian envoy is learning fast. All of that has been totally misunderstood. I’m wondering what language you people have to be addressed in? My only problem is that we had a very good English teacher (name needed, Kumar R?) who never taught us the word “brunch”. Anybody who can enlighten me? If nobody tells me, perhaps I will find out for myself. They tell me that if you put a single word in the Google browser and press enter, you get a number of Dictionaries competing to give the meaning. I’m beginning to regard Prof. Samuel Ratnajeevan Herbert Hoole DSc as an overgrown schoolboy, who just wont’t listen to what his elders and inferiors advice him about what not to say. But Kumar R., we must thank him for his “good works”. All this started with the revelation about a tiger tail in SRH H sarong. Instead of pointing out that this simply cannot be true, commenters have shown their propensity to digress. I have tried to draw the attention of readers to an aspect of voting at Presidential Elections which is rarely commented on, but which would be of crucial importance if nobody obtains 50% of all valid votes cast. That is the possibility for all voters to cast not one vote but three. I mean only one ballot paper can be marked and cast in to the ballot box, but there is provision for voters to mark their liking for three candidates. Instead of writing all this stuff on religion and caste (just see the animosities generated by this particular article. However, I’ve been told by many here in Uva who have looked at what I have written there, that they are even more confused after reading what I have written. Could you please go to that site and explain it for readers? discussion there seems more relevant than here. This is a polite request, not an imperious demand by one of the voters whom you must serve. Alternatively, what about your brother, Rajan, helping out? I’ve been told that although he had started life as an electrical engineer, he had later got a First Class Degree in Mathematics from London, and then a PhD in Maths/Logic/ Philosophy from Oxford. I’ve observed that he writes very seriously and carefully, and nothing inflammatory. They say that all you Hooles are pretty eccentric, but absolutely decent and upright. I wanted to send that message to as many as possible; actually, instead of wallowing in parochial issues, it would be really constructive if you could write an article on the subject yourself. In the alternative, I’m wondering if you could do a critique of this article. I could get the resulting article translated in to Sinhalese, and I’m sure that you could get it put in to Tamil. My email address I think that I’ve put in to a comment there. SinhalaMan rightly accused of being racist! Tamils have big problems, as writings of Mr. Hoole demonstrate, a good part of it is people like Mr. Hoole who always see ways to divide people. Mr. Hoole is promoting a very anti-Sinhalese Tamil nationalism, which most Tamils like, but at the same time he attacking the Tamil society and the social fabric. Mr. Hoole must know that just because his family became Christians the rest of the Tamil population cannot adhere by Christian rules or they do not become a Christian society. Tamils have always been Hindu and the social structure and cultural base will always be Hindu, even if the whole Tamil population become Christian. Infact it is true for the Sinhalese too, although the Sinhalese became Buddhists, the cultural and religious basis still draws from Hindu traditions and caste although not religiously sanctioned and harsh like in the Tamil community, is also followed to some extent by the Sinhalese too. Karkatha Vellalar – Pandya Vellalars known as the Karkattas or Karai katus, a territorial sub-division from Karai Kadu. How does one explain the strong match between Tamil and Sinhala castes but for historically later groups? There are no distinct Vellala caste groups in Jaffna in the style of Tamilnadu. Also there is the Pillai–Mudaliyar distinction in surnames in Tamilnadu. Thus region is not the sole distinguishing factor. Tamils try to match everything of theirs with the Sinhalese or attach themselves to the Sinhalese from anywhere possible. I don’t think there is a one to one match of castes between the Tamils and the Sinhalese. Anyways how Sinhalese society practice caste is completely different from how Tamils practice caste. I do not think this distinction between Pillais and Mudaliyars if such a distinction exists or whatever that distinction is, is a point at all. Tamil caste system here is a reconstruction of the one in the Tamil homeland, when the Tamil migrated here with the intention of settling here starting from the late 13th century. Pillais as I know is a name used by Vellalars, but now used by other castes too. Is it so different in Tamilnadu? I do not think so. However, this is a possibility in 2020. Lots of us wanted to give Ranil Wickremasinghe a scare, so we listed Anura Kumara Dissanayake of the JVP as First Preference. Mahinda R. led the first count with 40%; AKD second with 30%, but most of those had Ranil as Second Preference, Ranil third with 29%. No, the Second Preferences of the AKD votes won’t be counted. The Second Preferences of Ranil will be counted, as will those of the “Other ” candidates. Those UNP die-hards may not have cast a Second Preference. MR gets to 42%; AKD gets to 33%. Now what happens? A run-off between MR and AKD? Which MR wins easily, because even those who voted AKD get reminded during the run-off of what happened from 1988 to 2000. I acknowledge that this is an unconvincing analysis. Could Mahinda Deshapriya or Jeevan Hoole please educate us? the common sense wisdom about ballage wade and the buruwage wada! I’m sure that you’d rather please citizens than governments! Translating from the Sinhalese: the dog and the donkey have separate jobs to do. In any case, comments here must now case. I’m glad to see that your most recent article is better directed!